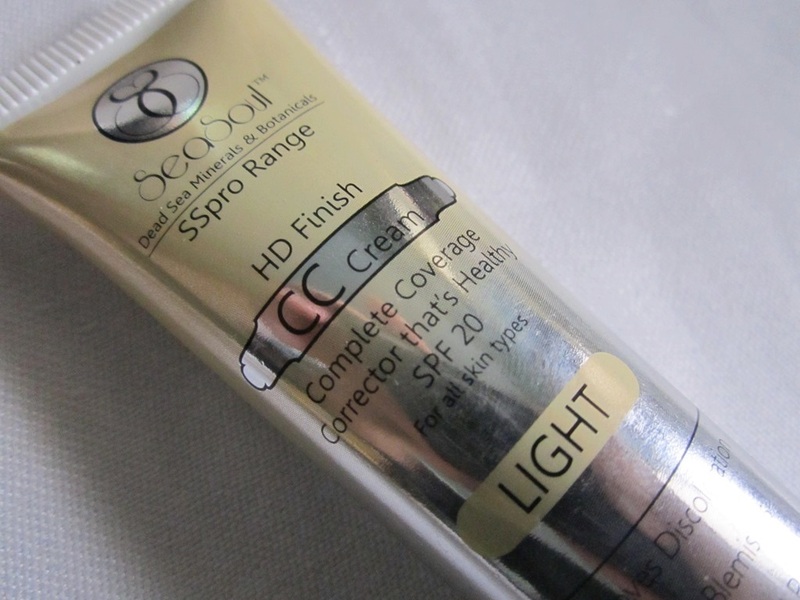 ABOUT:HD Finish CC Cream is a Complete Coverage Color Corrector Cream. It helps to correct discoloration left behind by acne, scars, sun damage & uneven skin tones. This unique formula contains Dead Sea Minerals , Moroccan Argan & Goji Berries known for Hydration, Anti Bacterial. 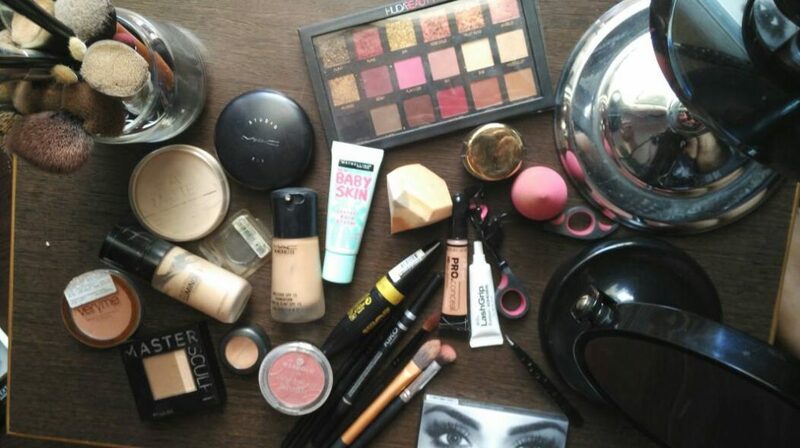 Anti Oxidant & Oil Control Giving that perfect No Makeup look without blocking the pores. Ingredients: Dead Sea Salts & Minerals, Jojoba Oil, Moroccan Argan Oil, Goji Berry, Noni Fruit, Plant stem cells. 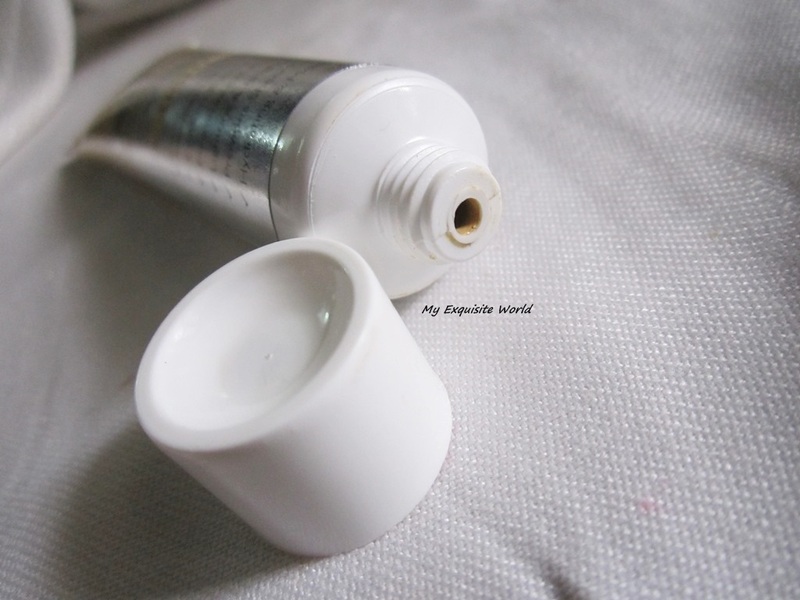 PACKAGING:The CC cream comes in a shiny silver & golden squeeze tube with a white screw cap. It is sturdy and travel friendly.However,it might spill and mess around if the cap is left open. 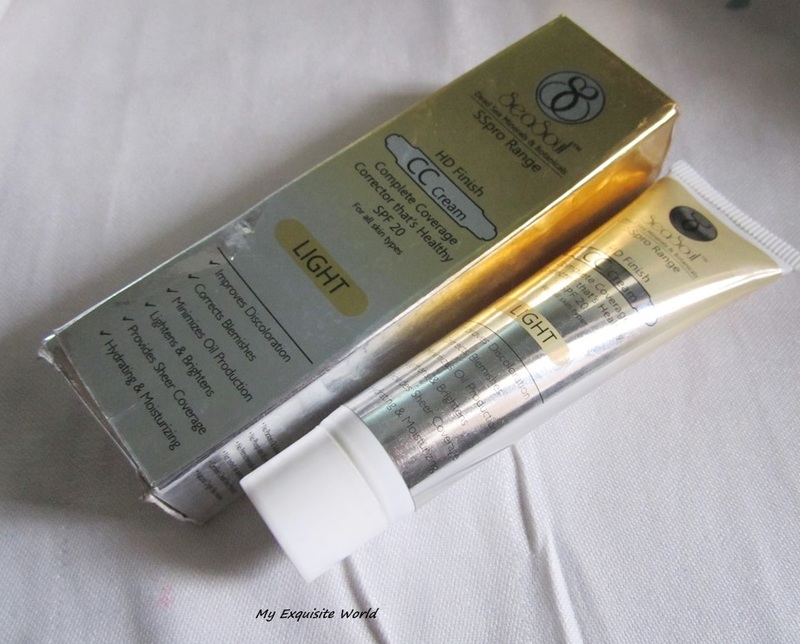 SHADE:I got the shade LIGHT which is suitable for nc35-37 skin tone.It is slightly whiter for my skin as well but adjust after 10-15 mins.It has strong yellow undertones which I like. 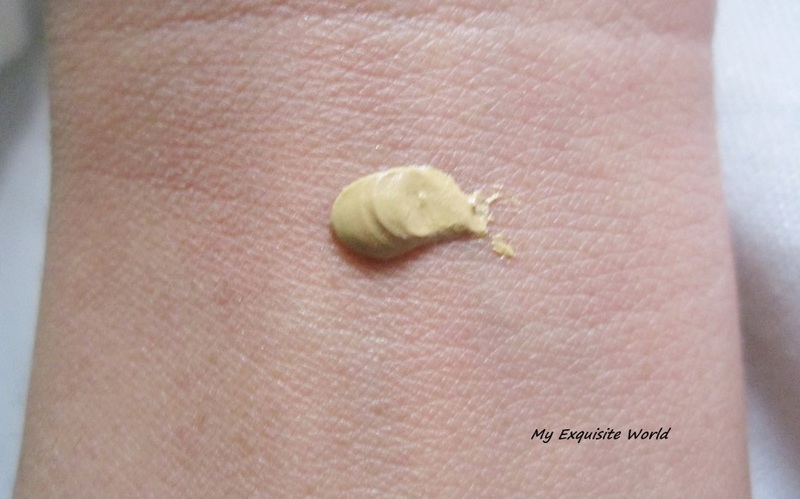 MY VIEWS:The CC Cream has a thick-mousse like consistency but it applies easily and spreads easily.The CC cream is quite soft and smooth in texture.It blends easily.The CC cream has a very noticeable herbal kind of fragrance that did bothered to me for sometime.It is moisturising in formula and did not break me out.It provides matte finish on application which stays for about 1.5 hous after which the finish becomes semi-matte.My face does get shiny and I can see my T-zone getting oily after 3-4 hours.The CC cream fades away after 5-6 hours from my face.it provides light to medium coverage. 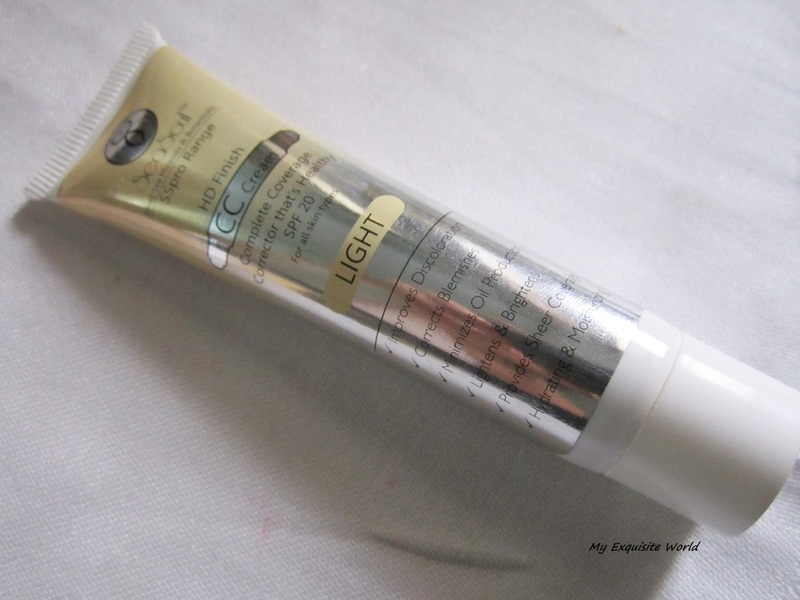 RECOMMENDATION:The CC cream has a nice formula but staying power should have been a bit more.Overall,it is a decent product.Regarding,the HD finish effect,I really don’t see any difference from the usual BB-CC creams!